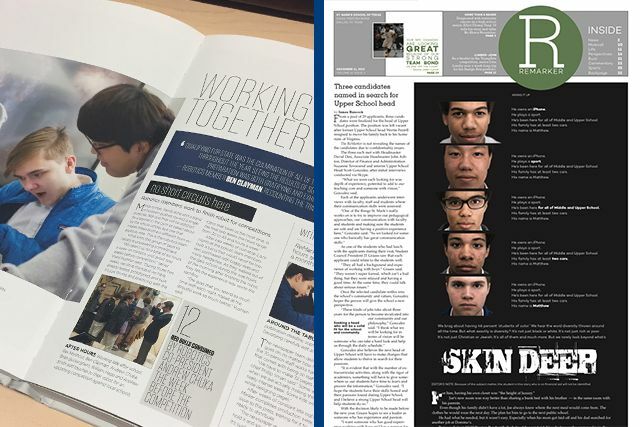 St. Mark’s student-produced yearbook and newspaper were both recently honored with national awards. In November, the 2016 Marksmen yearbook has been named winner of a Crown award from the Columbia Scholastic Press Association. The Crown awards are the highest given by the organization, the nation’s oldest scholastic press association, headquartered at Columbia University. Distinction of gold and silver crowns will be made at CSPA’s annual convention in March 2017. Students from St. Mark’s journalism program will be on hand to accept the awards. This is the ninth consecutive year for the Marksmen yearbook to be awarded a Crown, and the 12th in 13 years. 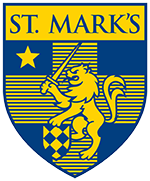 Seven St. Mark’s yearbooks have been awarded the Gold Crown, with four earning Silver Crowns. Forty-one yearbooks across the United States were named as Crown finalists by CSPA. Yearbooks were judged on theme and concept; writing; layout and design; graphics; and photography by a panel of professional journalists and educators. The editor of the 2016 yearbook was Will Diamond ’16, now a student at the University of Virginia. The managing editor was Jackson Cole ’16 and head photographer was Alden James ’16. Editor of The ReMarker was Philip Smart ’16, now a Morehead-Cain scholar at the University of North Carolina. Student publications are overseen by Ray Westbrook, Gene & Alice Oltrogge Master Teaching Chair.